Har saal mobile users badh rahe hai or pahle se jyada people android smartphone ka istemal kar rahe hai. Log ab apne phone device me hi internet browser user karte hai or generally mobile par hi we pages read karte hai. Examples, 2013 me only 135 internet user mobile use karte the btu 2016 me ye dugne se bhi jyada 38% ho gaya hai. Mobile marketing ki increasing dekhte huye lagta hai ki jaldi hi next couple 50% internet users android device ka istemal karenge. Mobile marketing itna badh gaya hai ki google search engine ke sath bak isabhi online marketer ab desktop se jyada mobile version par focus karne lag gaye hai. ISka man reason hai aaj android mobile par application ki help se kuch bhi karna possible hona. So jin bloggers ki website and blog par mobile traffic jyada hai unke liye ye post most important hai. Ab wo din dur nahi jab world me 50% bhi jyada mobile users honge so main aapko suggest karunga ki aap iski pahle se taiyary shuru kar de. Kisi bhi web owner ke liye site se hone wali earning value rakhti hai or unka earning source mostly advertisement hi hota hai. Like google AdSense ke tarah blogger affiliate marketing and some other method se blog par income karte hai. 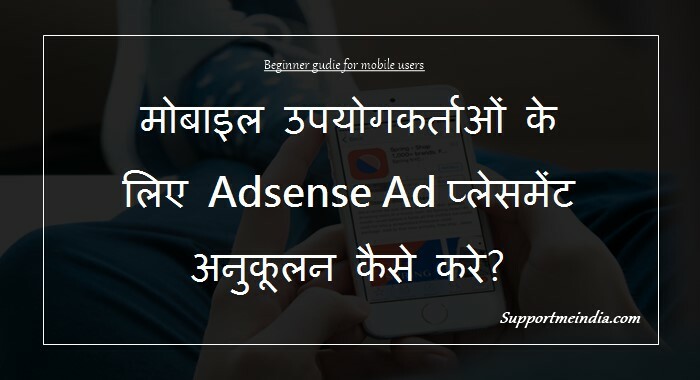 Today, aaj hum yaha mobile users ke liye AdSense ad placement optimize karne ke bare me bat karenge taki future me aapko google AdSense advertising se behtar performance mil sake or aap good earning kar sako. I hope aapki site par bhi desktop ki tulna me mobile traffick jyada hoga. So ye time hai mobile traffic ke liye AdSense ads ka right placemnet karne ka jisme ye article aapki help karega. Although, google AdSense ne pahle se hi responsive ads and some other mobile ad units ke feature diye huye hai fir bhi hum isse 100% AdSense ko mobile friendly nahi bana sakte. Iske liye hume AdSense use karne ki basic information ki jarurat hogi. But bahut sare aese ways hai jinse hum AdSense ad ko correctly optimize kar sakte hai. Main Adsense Optimization ke bare me pahle bhi kei articles write kar chuka hu. Aap iske liye humari AdSense se realted baki posts bhi read kar sakte hai. A large mobile banner at the top. Hide sidebars ads in tablets and mobile. Try top, middle and bottom ad placement. Choose best ad unit or responsive ads. And use many other ad placement methods. By the way, yaha btaya gaya tarika un sabhi se easy or jyada effective hai jisse aapko mobile users se jyada benefits milega. Main AdSense ad ka manual optimization kar or responsive size dono ko pane blog par test kar chuka hu. Results me optimize ad ki performance auto responsive ad unit se kafi jyada better thi. Google ne bhi ye mana hai ki responsive ad har time or har device me better work nahi karte. Isiliye AdSense ad placement ko optimize karna or jyada jaruri ho jata hai. Yes, main already ye kar chuka hu or ad placement optimization ke dama par hi meri AdSense earning 60% increase huyi hai or aaj main AdSense se good earnings kar raha hu. Generally, AdSense publisher ye sochte hai ki banner ads only desktop version me hi better work karta hai. But ye 100% sahi nahi hai. Maine ye test kiya hai ki mobile me top par banner ad sabse jyada effective hota hai. Kisi bhi site par header ya web pages ke top me mobile banner ads like 320×100 ad unit se jyada money earn ki ja sakti hai kyuki is par clicks or CPC dono jyada hoti hai. Aap wbesite ke mobile version me header or post title ke bad ya pahle banner ad use kar sakte ho. Header me 320×100 or page title ke bad 300×250 size ka ad unit best hota hai. Google AdSense policy ke anusar bhi ye btaya gaya hai ki site par top me mobile banner ad lagana better hai. Mera bhi ye personal experience hai ki site par top parbaki ad unit se jyada banner ad better hota hai. All websites or blog ke liye sidebar important hota hai. But sirf desktop ke liye mobile version me site sidebar itna effective nahi hota. Actually, mobile me web pages ko open karne apr sitebar bottom me sabse last me show hota hai or only 20% visitors hi sidebar tak scroll kar pate hai. Isi reason ki wajah se mobile traffic se sidebar ads par bahut hi kam clicks milte hai. I know sidebar ads ki CPC high hoti hai. but jis place par ads par clicks kam ho or impressions bahut jyada ho usse humari site par High Paying Ads show hone kam ho jate hai. Mostly worldpress theme and blogspot template me webpages par sidebar ko hide karne kea feature hota hai. Butagar aapki site par ye feature nahi hai to aap easily CSS coding ki help se sidebar ko hide / show kar sakte ho. Halanki apa ye apni marzi se kar sakte ho but mera suggestion hai ki site sidebar ko only posts and pages par hide karna hai baki homepage frontpage, archives, category and tags par sidebar show karna hai. Because in sabhi web page par content length short hoti hai only long posts par content length jyada hoti hai jisse user ko scroll karne me proble hoti hai. Mobile traffic ke liye ye formula 100% effective sabit hoga aap try kar sakte hai. Aap ne bahut se AdSense ad placement articles me padha hoga ki site web page par top, middle or bottom me ad unit place karna better hota hai. maine bhi apne old articles me iske bare me btaya hua hai. Aaj main aapko btaunga ki mobile version me post content ke top, middle and bottom me kis size ke ad unit istemal karta better hai. Main yaha aapko un ad groups ke bare me bta raha hu jinse maine apni site par good revenue generate ki hai. Humare par post content me AdSense ad placement karne ke liye 3 best options hote hai. The first ad was below the title and above the first paragraph. The second ad was placed after the 5th to 7th paragraph and middle of the post. The final ad was placed at the end of the post. Lagbhag har AdSense placement expert yahi btate hai. But main aapko suggest karunga ki iske sath aap ye 2 tips or follow kare. I know ye mere liye best work karta hai to dusre ke liye karega ya nahi but aap try jarur kar sakte hai. Ad AdSense ad after the first second or third paragraph. Ad AdSense ad before the last second or third paragraph. Mera kahna ka matlab ye nahi hai ki top, middle or bottom me ad unit better work nahi karte hai. Yakinan karte hai but inke alawa post content me first and last me 2 and 3 paragraph se pahle or bad me ad unit place karne se bhi better results milta hai. Mobile traffic ke liye AdSense ad placement optimize karne ke bare me sun kar aapke man me ye sawal jarur aaya hoga ki mobile users ke liye kis sieze ke ad units better hote hai or kis place par kis site ka ad istemal karna chahiye. Mobile users ke liye sabse better responsive ad unita hota hai kyuki ye all device screen ke anusar fit show hota hai. Halanki ye all time better work nahi karta but baki ad units ki compare me ye better hai. Iske alawa aap ye ad unit istemal kar sakte ho. 320*100 – Large Mobile Banner. Main inme se responsive, 300×250 and 320×100 size ke ad unit istemal karta hu jinse mujhe baki sabhi un unit se better results mile hai. Sabse important responsive ad unit hai. Your Experience: Sirf dusro ki btayi tips and tricks par kaam karne se hum unke jitna ya unse kam hi kar sakte ho. Unse aage niklne or unse better karne ke liye hume khud ke idea, plans banane honge. Yakinan aap aesa kar sakte ho but aapko starting karne ki jarurat hai. Main iske kuch point aapko bta deta hu. Always Use Custom Channel and URL Channels. Always Check Your Ad Units Performance Reports. Always Use Google Analytics and Views Adsense Reports. Always Try Your Own Tricks and Try Something New. newbie AdSense publisher ko ad placement ke bare me jyada ya full information nahi hoti or wo custom channel jaise AdSense ke important features ke bare me anhi jante. Jiski wajah se wo AdSense se good earning nahi kar pate hai. Sabse badi mistake AdSense ad units ki performance reports check nahi karna. Hame ye pata hona chahiye ki humari site par kis ad unit se kitni earning ho rahi hai or wo kaisa performance kar raha hai. Bina iski jankari ke koi bhi AdSense publisher achhi kamai nahi kar sakta. Jis ad unit se better result na mile use remove karke kahi or place par add karke try karo or jaha aapko clicks jyada or CPC good mile waha par ad place kare. Try Some Other Methos: Yaha par main un jaruri matters ko mention karunga jo har ek AdSense publisher ke liye hai. Jis tarah ek illiterate person book ka sahi istemal nahi kar sakta. Same usi tarah google AdSense ke bare me knowledge na rakhne wala kabhi bhi AdSense ka sahi istemal nahi kar sakta or AdSense se good revenue earn nahi kar saktai. 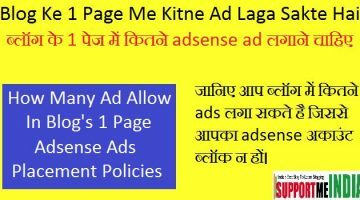 Aapko AdSense placement policy, Adsense terms & conditions ke bare me full nahi to basic information to honi hi chahiye. Aapko AdSense se lako me kamayi karni hai to aapko ye karna hi hoga. Aap jitna AdSense ke bare me sikhoge utna hi apni AdSense earnings ko incease kar sakoge. Maine upar btayi mobile traffic ke liye in ad placement optimization tips and strategies ko follow kiya. Jiske bad meri AdSense revenue 70% tak increase huyi. Aap bhi mobile users ke liye in tricks ko follow karke apni AdSense income ko badha sakte ho. In formolas se aap apni site par monthly or yearly AdSense earnings ko $500, $700, $1000 to $5000 easily boost kar sakte ho. I hope you may like this AdSense tutorial. If yes then also read Google Adsense Se Low Earnings Hone Ke 5 Big Reasons. Nice post sir. Best post in the google. Boht badiya jankari bro par agr aap kisi aise kissi pluggin ke bare me btate jisse hame mobile se ads placement karne me jyada mushkil na ho to hamare liye best hota..
Uske liye aap ad inserter plugin use karo. Aapko sirf itna karna hai ki high paying keywords par content likhna hai. Placing Sahi Hai Or Koi Miss Placing Hui Hai…..! Sabhi ad sahi hai but post ke last me ad lagane se achha hai post ke bich me ad lagao. Sir; मैं अपने Blog Post के अंदर Ads Code कैसे लगाऊ, क्योंकि मैं कुछ Ads Post Code Articles पढ़कर Ads Code लगाने की कोशिश किया था , परन्तु Ads “Mobile” Or “Desktop” दोनों में से (एक Ads Code द्वारा) [Code Placing Problem] एक में ही Show होता है .. Yes ek hi ad code ko aap kei jagah laga sakte ho. Maine is bare me kei post likhi hai. Aap search box me search kare ki blog ki post me ad kaise lagaye. Verify code sah ise add karo. Jab ad unit create karo to usme custom channel add kar sakte ho. Ye ad performance dekhne ke liye hota hai ki kis ad se kitna fayda ho raha hai. Yes kar sakte ho. Aap thoda address change kar dena. Is sabki jankari ke liye apa humari blogging wali post padho. 1. Meri site par AdSense ads blank show ho rahe hai kyoki mera AdSense non hosted me change nahi hua hai lekin main dusre blogspot blog par vo ad lagata hu to vo show ho rHa hai. And AdSense me bhi ad active bata raha hai. 2 ab main agar dusre blog se 100$ kar leta hu to kya AdSense payment kar dega kyoki maine non hosted ke liye apply kiya tha or koi mail nahi aaya. 4. or ek maine ads create kiya AdSense pe jo blank show ho raha hai use domain wali site se hata sakta hu ya nahi. 1. Manish aapko 15 day se jyada ho gaye hai or aapke pas custom domain bhi hai to aap alag gmail id se AdSense ke liye apply karo. 3. Aap domain wali site se alag AdSense ke liye apply karo. 4. Hosted AdSense ke sabhi ad hata do. Iske bare me bhi main post likh chuak hu. Dear jo mujhe pasand hai wo aapki bhi pasand ho sakta hai. Mujhe koi problem nahi hai or kisi or ko bhi nahi honi chahiye. Ho sakta hai aap mujhse ya oro se bhi better kar sako. Aapka jisme interest hai wo kaam karo. bhai apki 1 help chahiye. aap mera blog wwwe.solutionforcomputer.com ko dekh kar bataye plz isme kuch kami hai ya mujhe isme kuch or karna chahiye plz help. agar aap mujhe kuch suggest kar sakte ho to plz. 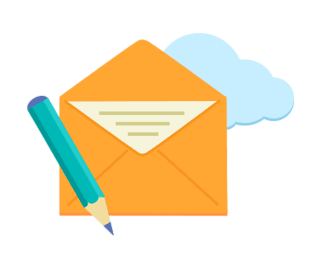 Good blog and design bas aap content writing ki or thoda dhyan do aap kisi word ko bada or dete ho or kisi bhi word ko chota. jabki hum sirf line starting and herading words ka first word hi capital use karna chahiye. Iske alawa thoda long content likha karo. “Your page has 1 blocking script resources and 4 blocking CSS resources. This causes a delay in rendering your page. Approximately 66% of the above-the-fold content on your page could be rendered without waiting for the following resources to load. Try to defer or asynchronously load blocking resources, or inline the critical portions of those resources directly in the HTML.” ise kaise solv kare. Agar hum blog par AdSense ad istemal karenge to blog par 1 blocking script ka error to aayega hi baki error ke liye aap gtmetrix or pingdom tool ke step follow kare. sir mai 1 mahine se adnow use kar raha hoon ..ab adesense ke liye apply karna chahta hoon. adnow ke ads jo show rahe hai use hata doon ya rehne doon. jisse AdSense disaprove na ho. Hata donge to behtar hai. Hello sir my website name is indiametech.com he is part images show Nahi Ho rahen he help me. Aap post edit option me ja kar featured image set karo. 1.mai facebook twitter Google Plus ka logo aapne YouTube video me use karna chahta hu kya mai use kar sakta hu bina copyright ke? 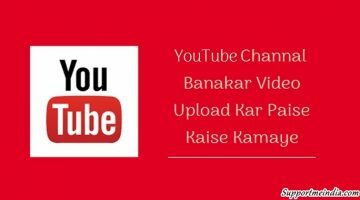 2.YouTube video me Image kaha se load kre kya Google search load kar sakte hai. Is 2 questions ke bare me reply Kre dhanywad. 1. Yes kar sakte ho. Pawan mw video editing par kam work karta hu. Bro I need your help i applied for AdSense and got msg adult content hai jisse approve nahi hui but fact is mere blog me adult content ki 1 word bhi nahi hai aur na hi waisi koi images aur image bhi koi copyrighted nahi hai. Ab kuch aisa hai hi nahi to mai thik kya karu bro…Mujhe AdSense approval chahiye uske liye kya karu . Aap mujhe google ka wo mail dikhao. Aapka second AdSense approve ho gaya hai no problem aapka blog open nahi ho raha so main check nahi kar sakta. SIR MAIN AAPKA BAHUT – BAHUT DHANYABAD KARNA CHAUNGA KYONKI AAPKI SITE KO FOLLOW KARKE HI MUJHE ADSENSE KA APPROVAL MILA HAI.THANKS SIR…. 1. Nahi bas aap chitika ke ads completely hata dena. 2. Nahi aapki site par 0 traffic hoga to bhi ad show honge. 3. Mobile and desktop dono version sahi hai. Bas aap next page option ke top par se ad ko hata lo or post ke last me ad lagao. Ek sidebar me bh iad lagao. Is post ko sahi se read karo. 4. Design thee khai but aapne sidebar, header, footer me jaruri widgets add nahi ki hai. 5. Aap SMI ke sidebar category me se kisi bhi topic par post likh sakte ho or guest policy padh lena. Thank you and welcome bro achha lage to mere blog ko share jarur karna. Sir mera blog abhi bhi open nahi hi raha hai. Ek baat aur sir blog new domain ko old domain par redirect kaise kare without old blog ki post error hue jaise aapne apne Hindi blog ko redirect kiya Maine iske baare me net par jaankari searxh ki but mujhe iska perfect solution nahi mila jab maine blog ka domain redirect kiya to mera old domain error ho gaya hai. Umeed hai aap is topic par artical likhenge. Krapya bataye main blog ko kaise redirect karun. Aapne blog ki template change nahi ki same abhi bhi wohi problem hai ya fir ho sakta hai DNS record sahi se add nahi kar paye. Ye bahut simple hai. Aap bas old domain site par ja kar domain setting me jao or old domain ko new domain par forward kar do new domain ki all post and pages redirect ho jayegi. aapko ek post ko research or likhne me kitna time lagta hai. kuchh aisi site bataiye jaha hume backlink mil sake like SMI blog..
Iske bare me jald hi post likhunga. Bilkul sahi traffic nahi hoga to income ke bare me sochna galat hai. WordPress dashboard >> appearance >> customize par jao logo add karne ka option mil jayega. Header image likha hoga. Yes bank wale time lete hai. Convert karne me to jyada time nahi lagta bas wo is par dhyan dene me time laga dete hai. Hello sir mai aapse ye Janna chahta hu ki Aapne apne blog par Jo link Ads lagaya hai wo mobile me full display show karta hai, Aapne Kon si Ads lagaya hai aur kaise Lagaye hai kya Aap Mujhe bata sakte hai plz…. Aap search box ki setting me jao or language me hindi ki jagah english likho or check karo ki aapne site ka sahi link diya hai. Bro. aap Abhi Adsense Ads dikhane ke liye kaun sa plugin use karte ho.. Mere Blog me Ad injection plugin work nahi kar raha hai…. Welcome little star, Main ad injection hi use karta hu. Nahi aesa to nahi. Aap btao kya error aa raha hai. sir me aapki site par july 2016 se regular visit kar raha hu maine aapki site se bahut kuch seekha hai aur ek chhota sa blog banaya hai sir meri aapse ek request mere blog ko check karke bata dijiye ki mujhe kya karna chahiye. mujhe ummeed hai ki aap mujhe jarur sahi raay denge. Very good blog. Aapne to blogger blog ko WordPress se bhi best bana diya. Desktop version bahut acha hai. Aap iska mobile version bh isahi karo. top navigation or content ka margin kam karo. Iske liye thodi CSS coding sikh lo. Bro agar aap apne daily routine ke bare me ek post likhe jisame apne kaam karane ke working hours ,inspired kaise hote daily itana work karane k liye,paisa aane ke baad bhi kaise down to earth hai,content ke liye kya strategy apanate hai, aisa agar likhate hai to mere jaise new blogger ko bahut inspiration milegi . Kafi kuch naya sikhane ko milata. Isake bare me jarur sochiyega…. Ok aane wale dino me jarur likhunga. jaha tak mera experience hai mobile user wale Apne blog ke ads size ko 4-5 din me Change karte rahe . 250×300 And Response size use kare . Welcome surendra and thanks for guide my readers. Mozilla me po up block hogi. Iske liye aap adblocker plugin ya script use karo. Sir mujhe janna hai apne 99 me domain kaise liya credit card se ya debit card se kyu ki debit card pe Rs.99 me payment nahi hota hai. Kisi se bhi le sakte ho. Godaddy care me call karo wo step bta denge. Agar blog ka title …Blog ke naam se hi rakhu jaise mere blog ka naam hai abc.in to title abc.in hi rakhu to isme koi problem to nahi hogi na. Evening me aapko reply karunga 8pm ke bad check kar lena. Wait please jaldi hi karunga. Sir Mujhe apni blog ke liye best paid template konsi site we kharidna chahiye. Blogger ke liye paid template lene se acha hai aap utna pay karke hosting lo or WordPress par blog ko transfer karo. Taki or better tarike se work kar sako. Agar aapka chitika account approved hai to koi problem nahi hogi. Ads show honge or ad show nahi ho rahe to abhi aapka chitika account approve nahi hua. bahut achchi information hai. sir apki site par bahut log comment karte hai or sath me apne blog ka URL bhi lagate hai to esa karne par apki site par nagetive effect nahi padta ? or Comment me use kiye URL ko nofollow kar sakte hai kya. Mai esa kya karu ki comment me lage url ka nagetive effect meri site or AdSense par na pade. Main comment links par nofollow use karta hu. Iske liye aapko thoid coding ki jankari honi chahiye. Aapko blog ki comment coding me comment author link me nofollow tag add karni hogi. Shahid kisi bhi website ko banane ke liye html, php, java, script and CSS coding ki jarruat padti hai. Facebook google ko bhi inhi se banaya gaya hai. Maine aake blog ko oepn kiya layout me post show ho rahi hai. Aapne shayad ise pahle hi theek kar liya.